Chocolates, candies, roses, hearts of lace. All treats one may expect to give or receive on Valentine's Day. Seeking the unexpected? 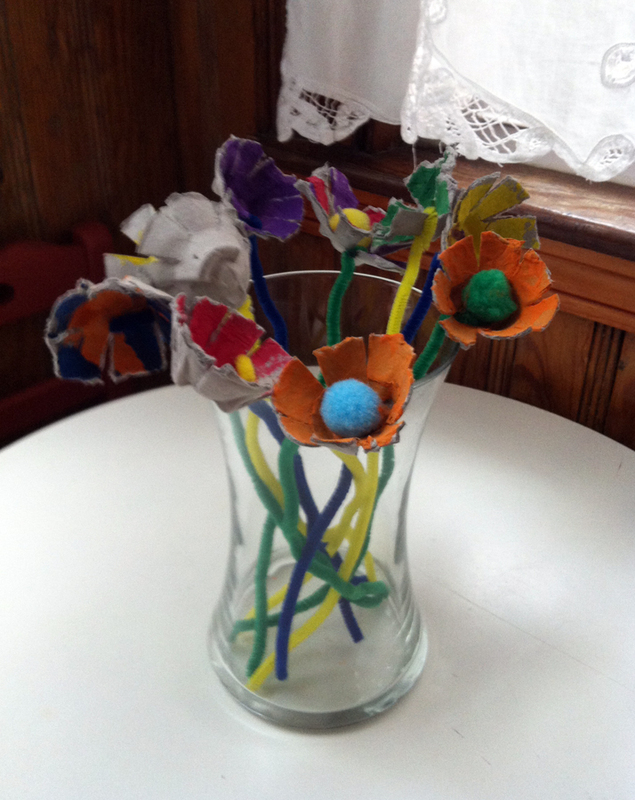 Try this everlasting bouquet of flowers made by upcycling an egg carton. Suitable for any age child who is able to craft without eating paint, this project is fast and fun. Watch out - - Valentine's Day just got a little green. 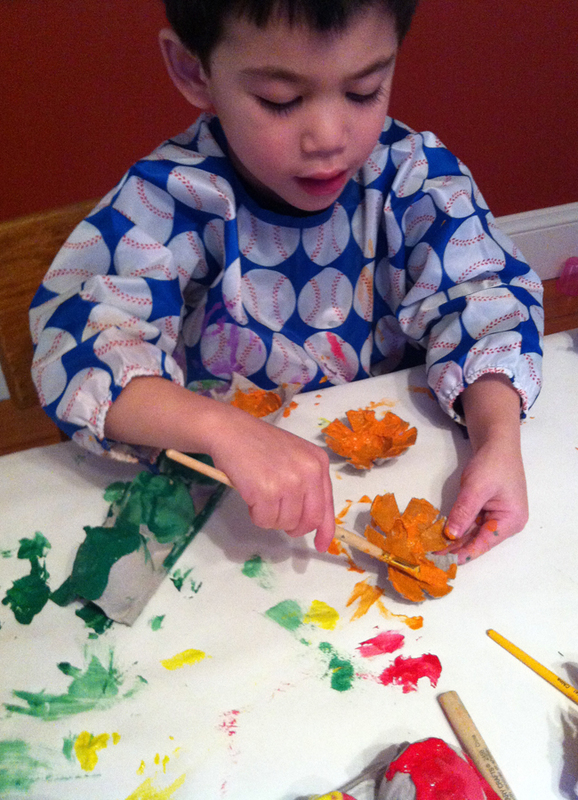 Materials needed: cardboard egg carton, pipe cleaners, paint, glue, pom-poms, scissors, paint brushes. 1. Cut the cups out of the egg carton, trimming the edges so they are level around the top. 2. Snip towards the bottom of the cup all the way around 6-8 times, creating the petals. 3. Press down lightly to flatten the petals outward. 4. 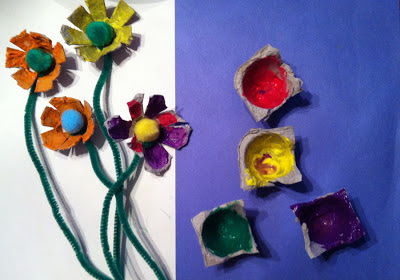 Paint the cardboard flowers any which way you like! 5. Put a dab of glue in the center of the cup and add a pom-pom. 6. After the paint dries, wrap one end of a pipe cleaner around the base of one of the petals, close to the pom-pom. Once you've made your beautiful and unique upcycled bouquet, give it to your Valentine wrapped with a bow or arranged in a vase. At our house, we make our art the way we cook - - we use what we have. Don't have pipe cleaners? Glue the back of the flower to the end of a take-out chop stick. Pom-pom shortage? Use buttons for the center of the flowers. All out of paint? Try markers, crayons, or even food coloring in a little water. Getting creative and having fun is what it's all about.